Churchill’s statement applies perfectly to our role in climate change. Ignorant columns on this topic seen on a weekly basis in our newspapers, with their malicious attacks on those pointing out climate reality, indicate a rising panic and resentment among those who insist on remaining fossil fools. 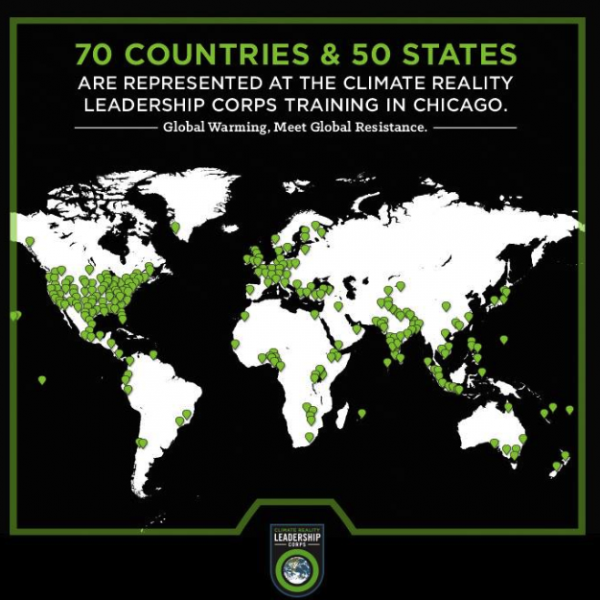 As a member of the Climate Reality Leadership Corps, it is my duty to point out the lies and the truth, and it looks like this will be a full-time responsibility! Just this past week, several columns have put forward false or misleading ideas. One commonly-heard refrain is that tar sands oil is sold at a discount due to difficulty getting it to market, so eastern provinces will benefit from a new pipeline bringing it to the Atlantic coast, allowing them to buy cheap Canadian oil instead of expensive foreign imports. Um, isn’t the whole idea of the pipeline to get oil to market so that they can charge full price? According to the tar sands proponents, it is, so that means there will be no “Canadian discount” for easterners, unless someone is proposing another National Energy Program like Pierre Trudeau’s. (So far as I know, no-one is.) That means Easterners at the end of a tar sands pipeline will have to pay the same world market price as foreign customers. Even energy analysts have been pointing out this economic reality, but biased, math-challenged columnists seem deaf to it. Another panic-fueled, malice-driven, ignorance-spreading tactic is to treat the challenge of ending fossil fuel dependence as an insurmountable obstacle, with stupid throwaway lines like “we won’t eliminate our dependency towards petroleum overnight” or “maybe they’d prefer we just build a few windmills to make up for the energy gap” to be addressed by a $12 billion pipeline. This is coupled with the constant assertion that “the left” is against energy and jobs. The fact that we can’t end our addiction to fossil fuels instantly doesn’t mean we should ramp up production, any more than not being able to quit smoking cold turkey means you should smoke more! The reality is we must shift investment away from new fossil infrastructure into renewable energy, not with “a few windmills” but with $12 billion of new renewable infrastructure instead of pipelines, something which would incidentally create more jobs than pipeline construction or tar sands expansion. But until the inevitable fair price on carbon arrives, the market will tilt toward dirty extraction and burning of fossil fuels over clean renewables. And in the meantime, there is more bafflegab to correct than can fit in one column, so I’ll return to this topic next week. Printed as my Root Issues column in the Barrie Examiner as "Tar sands debate filled with misinformation"
Erich Jacoby-Hawkins is a certified member of the Climate Reality Leadership Corps. Free fruit for everyone! Come and get it!